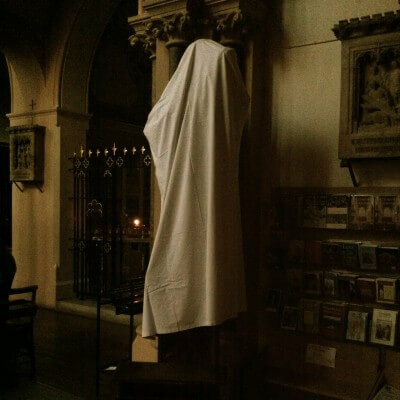 The new statue of St Anthony arrived last week, and is in place in church, veiled and waiting to be revealed tomorrow in time for his feast on Friday. After the 6pm Mass tomorrow evening, the statue will be unveiled and blessed. The new statue replaces the one that was burnt down accidentally by a fire last October.